Even in this day and age, with countless resources at your fingertips, there is still absolutely no substitute for sitting down with a teacher to learn a new skill. 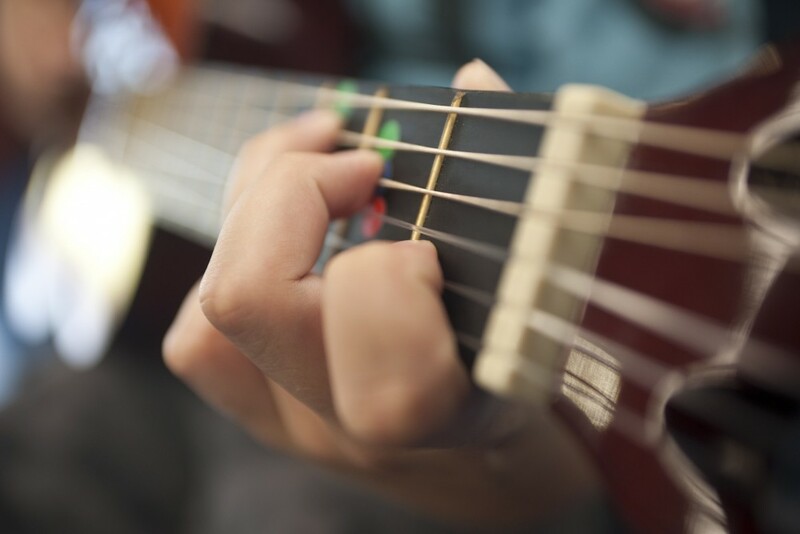 If you prefer to learn in a solo situation, where the lesson is tailored exactly to your specific needs, personality, musical taste and current skill level, then one-on-one tuition lessons may be the way to go. Our teachers will work with you in a one-on-one context to work out your specific goals, and show you what to practise, how to practise it and how often to practise it, to achieve literally any musical goal. If you prefer to learn in a group environment, or are looking for something easier on the wallet, grab up to 3 friends and head along to a group lesson. Parents can also take advantage of the cheaper prices of group lessons in our Stringz Kidz tuition program for kids. For all lesson pricing please see our Cost of Lessons page. To book a one-on-one lesson with Stringz Guitar Studio, please contact us.